What if you can have a day in the open air, a day of blue sky, sea breeze and the whisper scent of lavender? In the Sequim-Dungeness Valley, that day is yours. 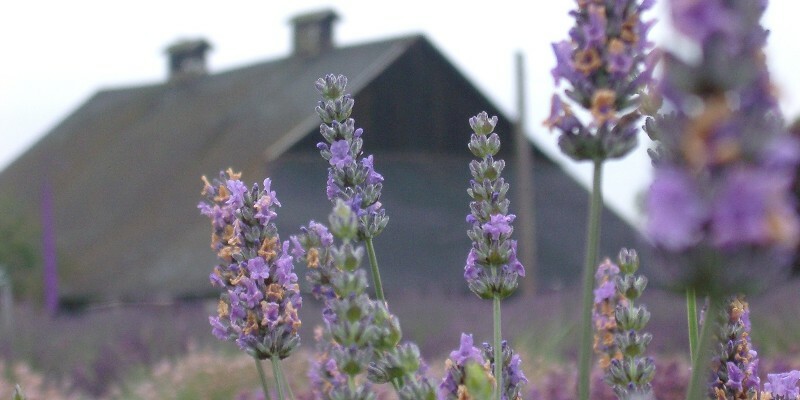 Ten farms, all within a few miles of one another, offer the Sequim Lavender Experience all summer, and without a lot of driving. Oh, they’re distilling essential oil, offering fresh-cut bundles of flowers, scooping lavender ice cream and readying for the harvest. 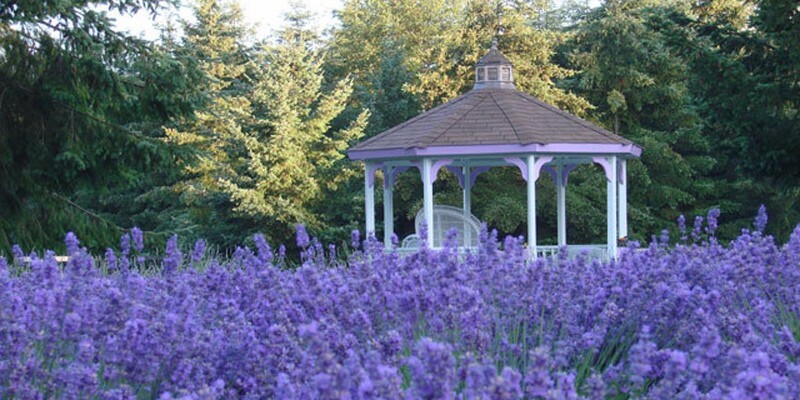 But away from the crowds of the July 20-22 Lavender Weekend, the experience is more relaxed for the visitor. 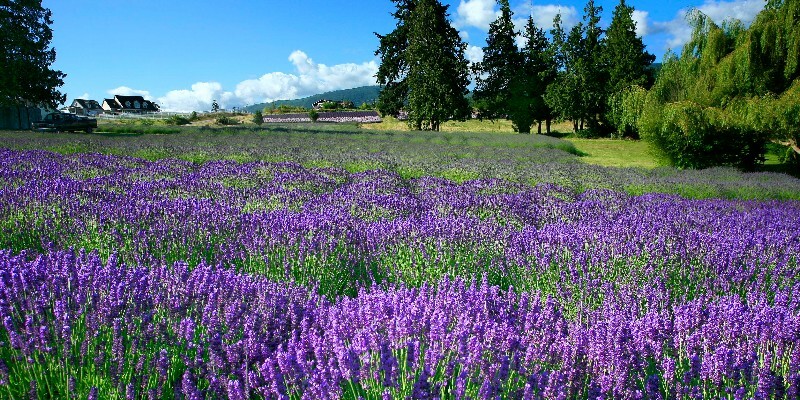 Why fight the crowds of Lavender Weekend when ten farms, all within a few miles of one another, offer the Sequim Lavender Experience all summer long?" 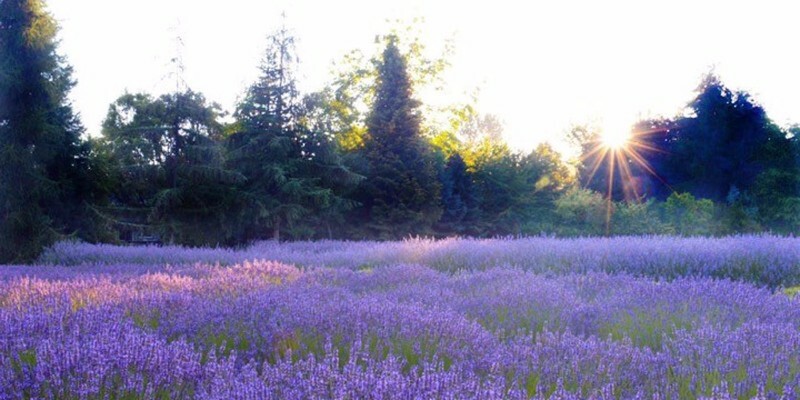 On the valley's eastern side, Purple Haze Lavender Farm, is one of the special places where you can behold the aura above thousands of lavender plants. Explore the fields, then find a shady spot for a glass of lavender lemonade. Nearby Jardin du Soleil, is an island of purple ringed by protected land, so the view stretches out toward the horizon. Jardin, like many of the other farms, hosts a series of special events on weekends during the summer season. On the Dungeness Scenic Loop awaits Olympic Lavender Company. At 23 years old, this is one of the pioneers in the valley, with recently renewed and expanded fields. 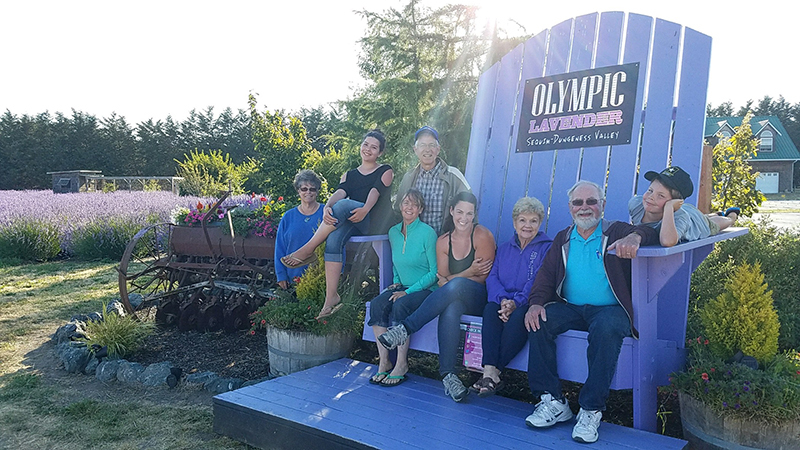 Olympic also has a downtown Sequim store, while the farm boutique and still house are located on the main farm — adorned by three 10-foot-tall purple Adirondack chairs for visitors. Heading south we find the Lavender Connection, where 37 varieties of the herb grow. Once you’ve wandered among the rows, you might visit the “perfumery,” and mix the lavender essence with other fragrances — “invent a scent,” as they say here. On Old Olympic Highway, B & B Family Farm is where three generations of one clan nurture their 12 acres and thousands of lavender plants. This is yet another farm where summer brings free tours, which here include the 100-year-old barn and a look at the one-of-a-kind “jitterbud” lavender bud-cleaning machine. 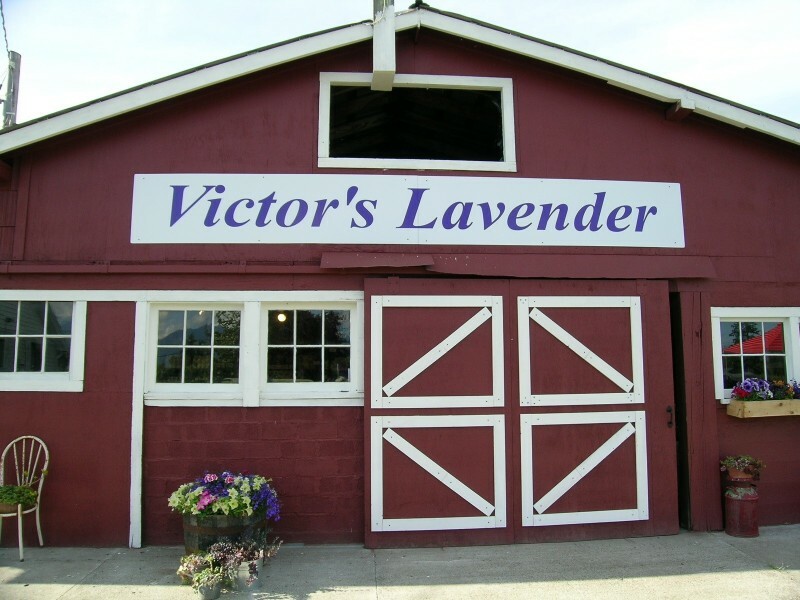 Victor’s Lavender is just down the road with a former milking barn turned into a lavender haven. Farmer Victor Gonzalez of Sequim is known internationally; his farm has provided more than 1 million lavender plants to gardeners around the world. 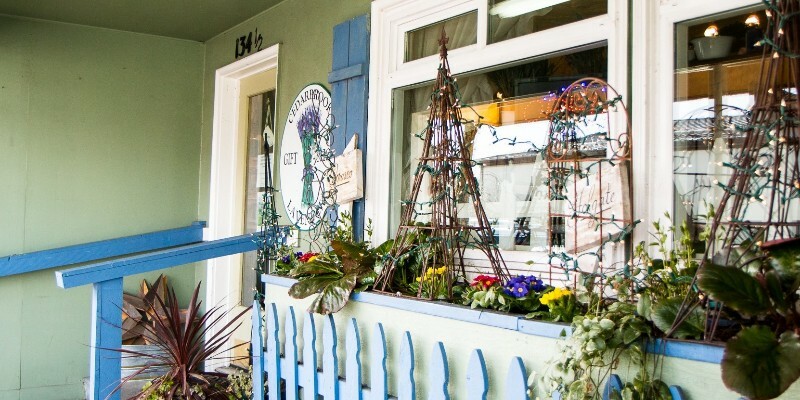 On Finn Hall Road just off Old Olympic Highway, Washington Lavender offers a subtly fragrant experience: wildflower-lined driveway, thousands of lavender plants and a shop promising honeys, jams, teas, spices and other gifts. Also here, George Washington Inn, a bed and breakfast fashioned after Mount Vernon, stands on the bluff above the blue Strait of Juan de Fuca. Swinging east again, we arrive at Martha Lane Lavender, where a gazebo and gift shop are surrounded by purple. Like the neighboring lavender farmers, Martha Lane’s Mike and Julie Greenhaw say they can see people start to relax as soon as they step out of the car. The kids can run and play while the grownups explore, and if they like, find out what other nearby farms offer. While Martha Lane’s compact fields are surrounded by towering Douglas fir trees, LostMountain Lavender Farm has fruit trees — and when it comes to lavender, 100 varieties. To wrap up, let’s meet in downtown Sequim, where the Cedarbrook Lavender Gift Shop is filled with goods for cooking and wellness, plus the Lavender Lace Cookie. “We bring the farm to the shop,” said Marcella Stachurski, who along with her crew makes Cedarbrook's products by hand, and with love. "Each farm has so much to offer, and each has its own unique personality,” said the Lavender Connection’s Rick Olson. 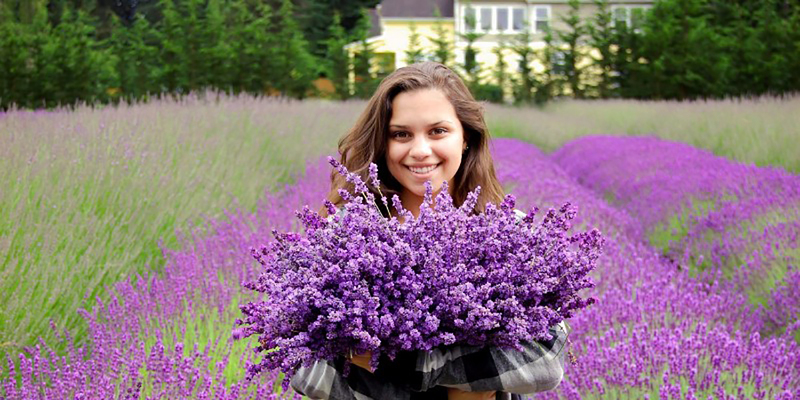 “We love sharing our farms and the experience of lavender throughout the summer."